Caledonian liveried 86401 arrives at Glasgow Central with the 5M11 2035 ECS from Polmadie Car M.D. on the 15th January 2017. Freightliner Powerhaul liveried 90042 is on the other end, to take the train as 1M11 to London Euston. Many thanks to the friendly driver. 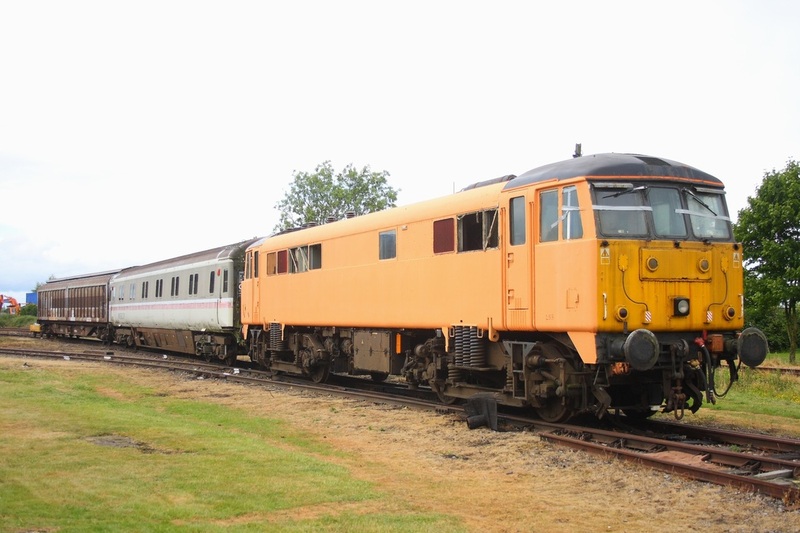 On the 7th July 2009, 86258 is captured at Long Marston. Network South East liveried 86401 is propelled into Brush Loughborough works by GBRF 66730 on the 12th May 2015 working as the 0Z86 Leicester to Loughborough Brush works via Toton. 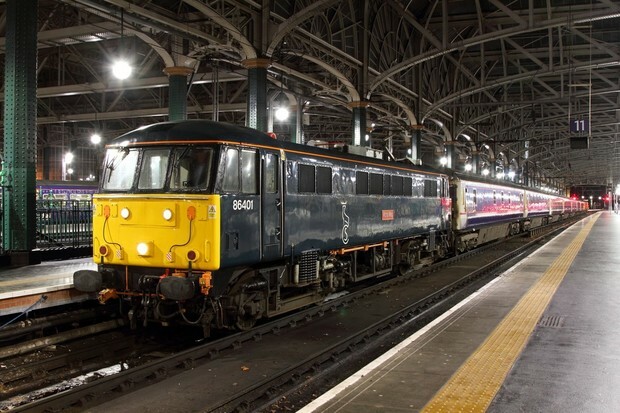 86401 is to receive further attention including a repaint into the new Caledonia livery replicating 86101 and 87002. It will then be used on the sleeper ECS stock moves in and out of London Euston. 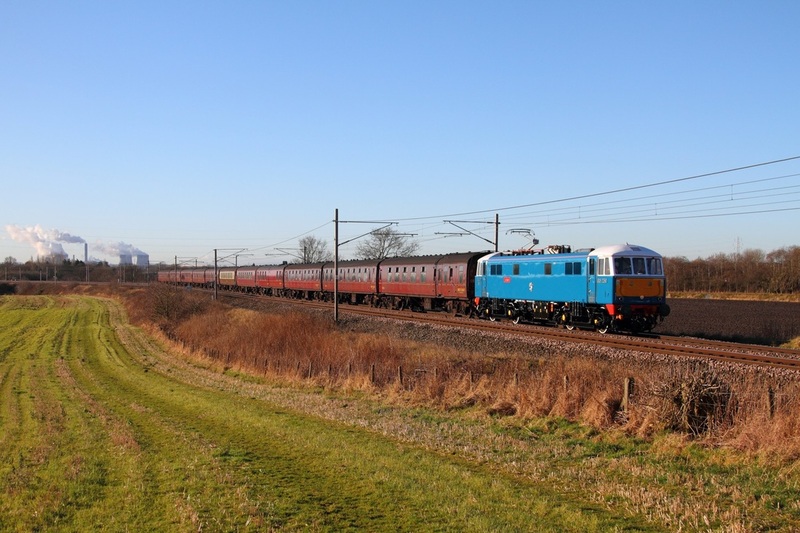 86628 leads 86632 on the 4M54 Tilbury to Crewe Basford Hall at Ansty on the 10th December 2014. 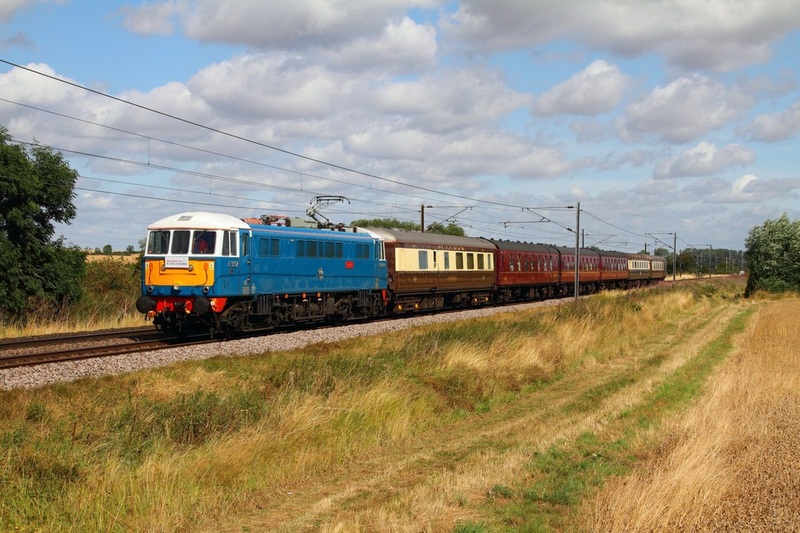 Electric Blue 86259 looking stunning as always powers through Cromwell near Newark on the 9th August 2014 hauling the 1Z05 0718 Edinburgh to London Kings Cross Prudential 'RideLondon' charter. 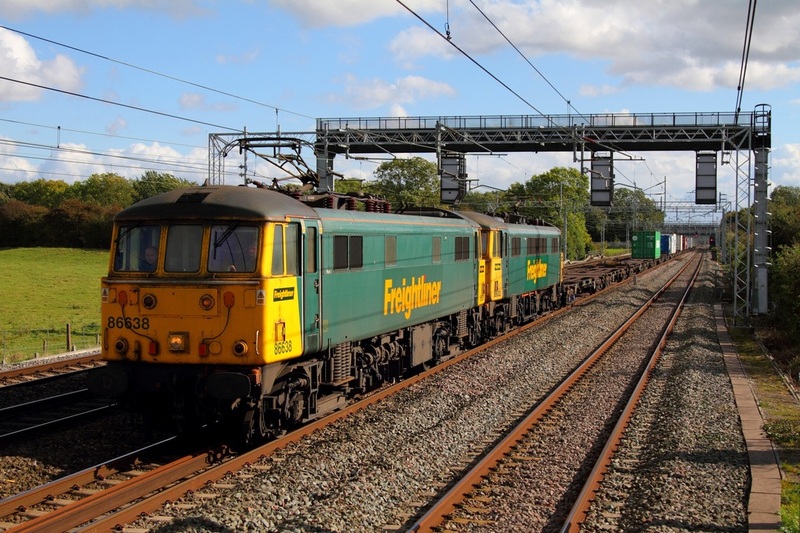 Freightliner 86604 leads 86612 on the 4M54 Tilbury to Crewe freightliner at Ansty canal on the 25th July 2011. With lovely autumn colours, Freightliner's 86610 leads 86638 on the 4L75 Crewe Basford Hall to Felixstowe at Tamworth low level on the 28th October 2011. 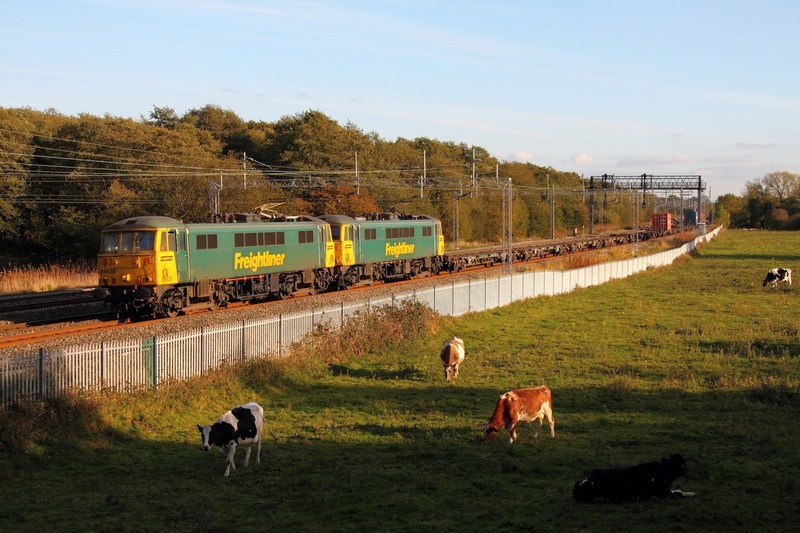 On the 28th October 2011, With the cows taking little interest, 86639 leads 86605 at Slindon working the 4M54 Tilbury to Crewe freightliner. Freightliner 86638 leads class-mate 86632 on the 4M54 Tilbury to Crewe Basford Hall freightliner at Cathiron on the 3rd October 2012. 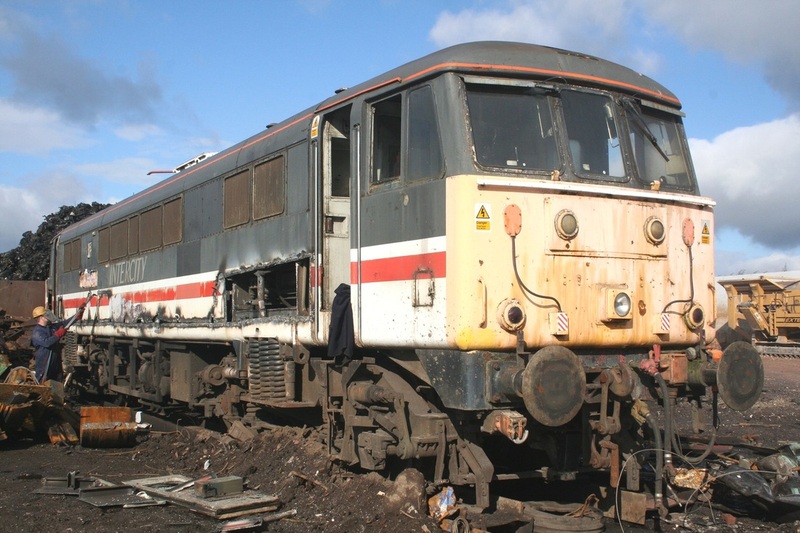 Inter City liveried 86207 is photographed in the process of being scrapped at Ron Hulls Scrapyard on the 25th March 2006. 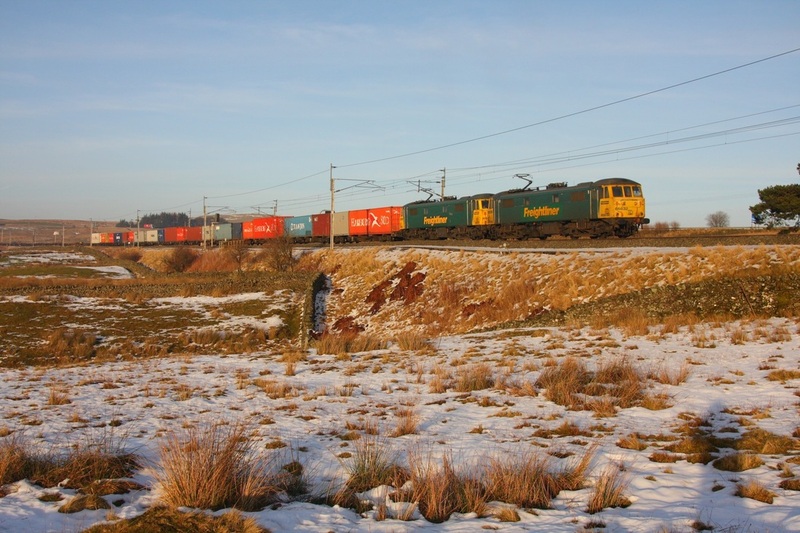 Click here for some more photographs including 86224 and 86225. 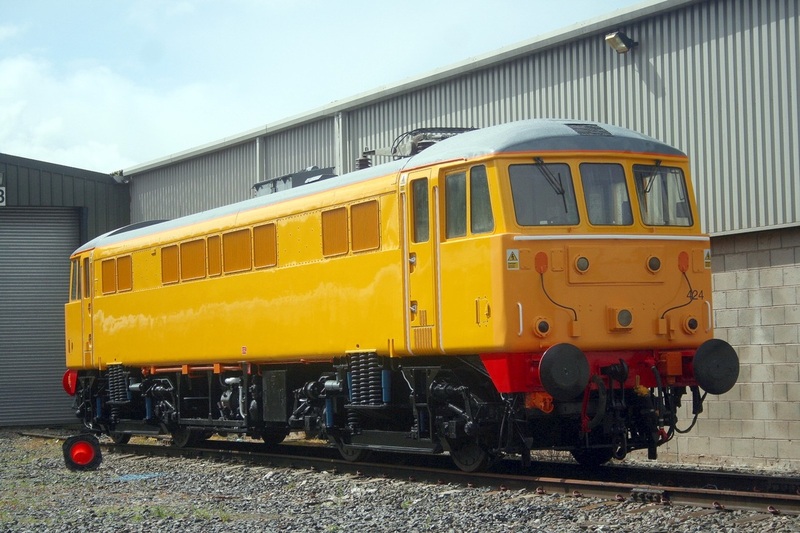 86424 is photographed outside the Crewe LNWR in Network Rail Yellow livery, yet to receive the NR branding on the 19th May 2007. 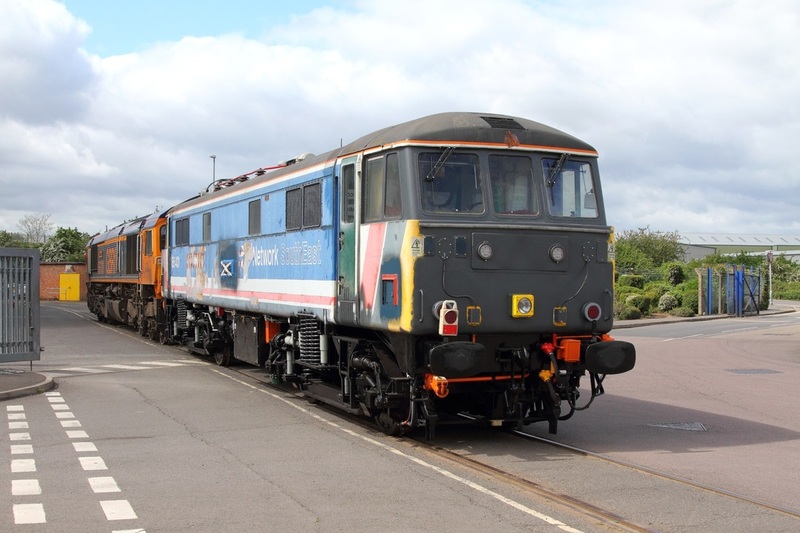 86901 and 86902 also carry the Network Rail house colours.